Here is a performance/projection of three instrument players and performing artist. 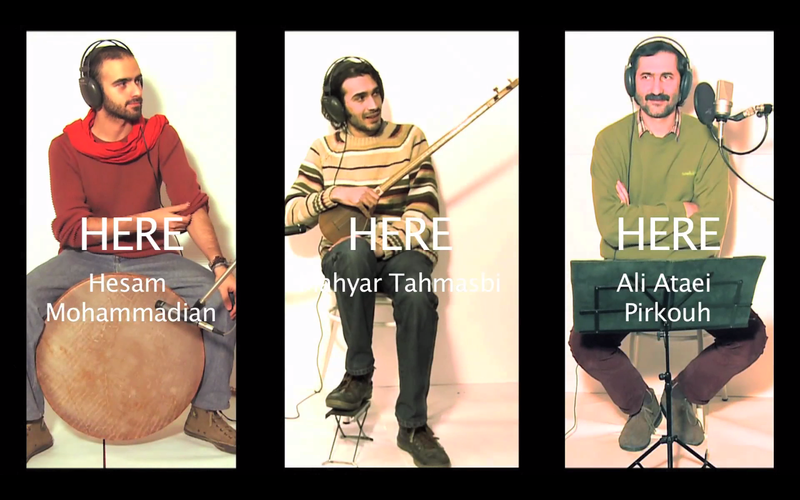 It focuses on the disconnectivity of the music world in Iran and outside, and the recent history. Premeditated videos of performers are projected on separate walls in a square gallery space to indicate there is contrast with where they are and where you are, what they play and what you hear, what they express and what you feel. In Here, the traumatic, passive and monotonous traditional music of Iran is transformed to become more representative of its time and people.